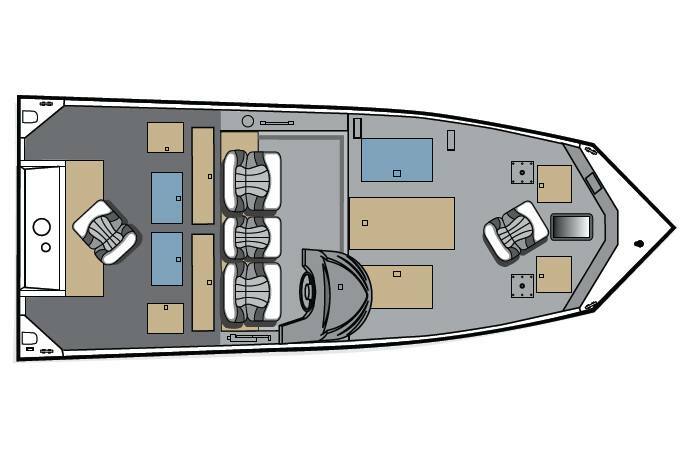 The 195 C-PRO is designed with features that professional fisherman can appreciate with its industry exclusive super structure that features six longitudinal stringers that tie the boat together from transom to bow and eight bow diagonals for additional strength. This pro level fishing beast also features a fiberglass helm, the largest bow platform on the market, and a multipurpose gunnel with rub rail insert, snap track, and accessory track. The 195 C-PRO is loaded with storage compartments highlighted by the center rod locker that holds 17 rods up to 8.5’ in length. The 195 C-PRO also features a recessed foot pedal and is wired for a 24-volt trolling motor with 4 battery capacity.